FightVG: Quick Pic: PS4 release date revealed? Has the PS4 release date been revealed? 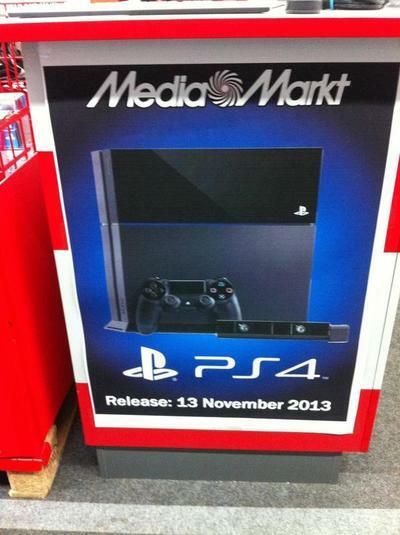 If this picture is anything to go by, Amsterdam, Netherlands is getting the console on Nov. 13. 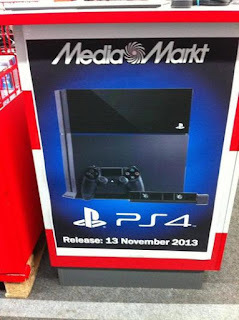 An image from Cyborg of NeoGAF shows an ad at Media Markt in Amsterdamn, Netherlands that reveals a Nov. 13, 2013 release date for Sony's PS4. IGN has since reached out to Sony for comments but the company has declined to reveal whether or not the ad is accurate.